Ok here goes, just bought this 70 Challenger RT/SE, a original Plum Crazy car with a Shaker, 383 Mag 727 automatic. I bought the car as you see in the pictures, painted and ready to put back together. The bad thing is I wont know what I am missing until I need it LOL. Keep watching I am not going to be in a hurry, I want it right. Not a Dodge guy before, but I guest I am now. welcome aboard! Nice project and you came to the right place; lots of knowledge and experience here. If you are going original, post a pic of the fender tag or list out the codes. 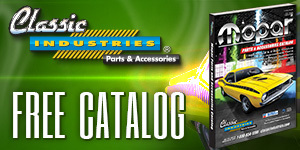 Find a factory service manual. Search and ask on this forum for everything else. I use Stacey David's Gearz Project Book to help me keep parts and the build organized. www.mymopar.com has a lot of reference material.